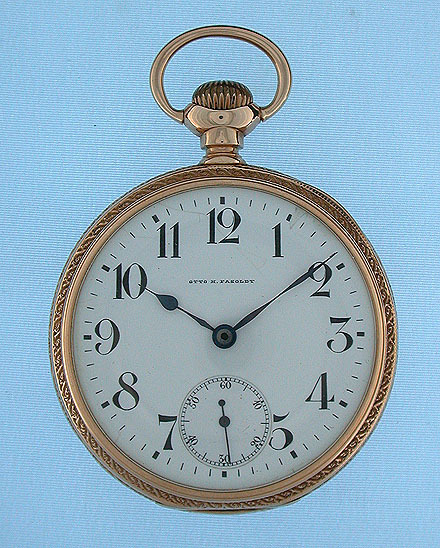 Fasoldt/Longines 14K gold railroad grade antique pocket watch circa 1900. 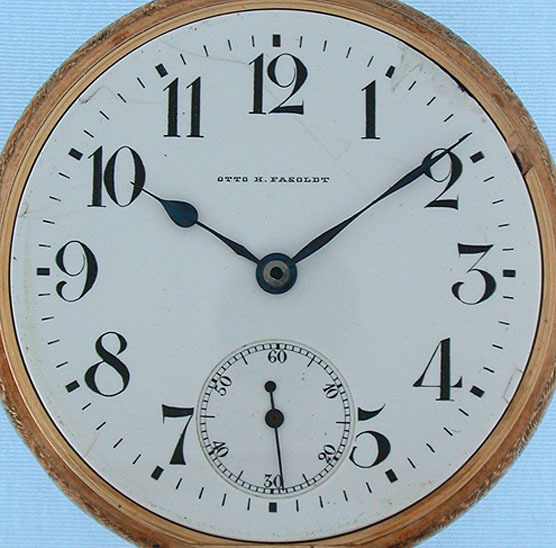 White enamel dial (cracks and filled chips) with bold numerals and blued steel hands. 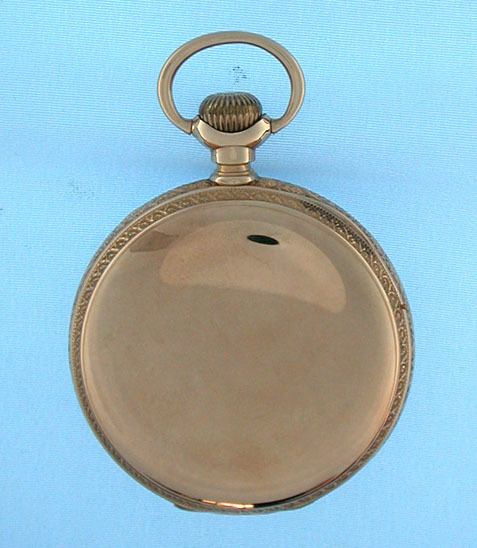 Plain polish case with decorative bezels. 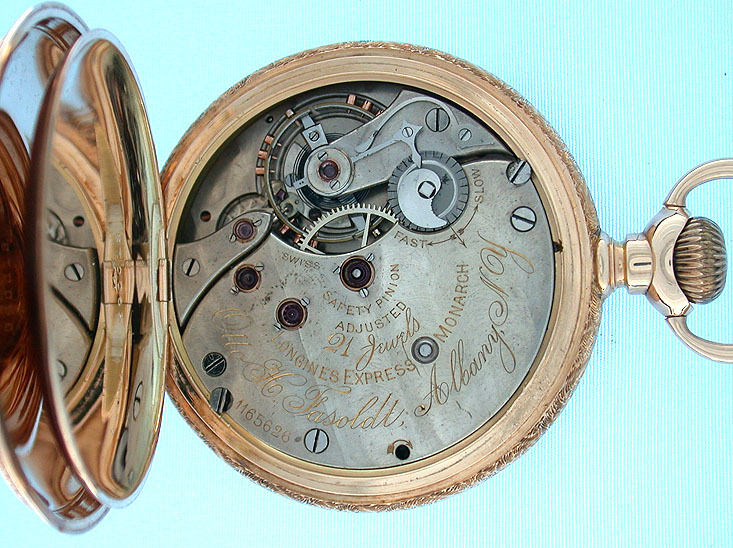 Nickel 21 jewel adjusted movement.